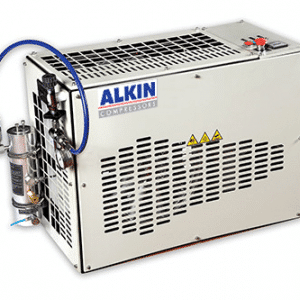 Alkin W31 Mariner and Canopy high pressure compressors can be configured to compress air up to 5000 psi. 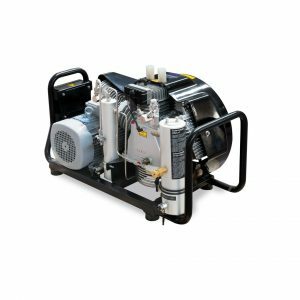 with an out put of 3.7 or 4.9 Cfm They can be equipped with an electric motor or Honda gas engine for portability. Depending what type of tanks you are filling the fill whip hose can be shipped with DIN300 with scuba yoke, CGA 347 (scba), or female foster fitting for filling paintball tanks.